Many homeowners enjoy taking matters into their own hands when it comes plumbing projects, especially when that means saving some money. However, there are certain projects that should always be left up to the professionals, like GreenTeam Plumbing! One specific example that has been seen several times is the expansion or modification of a home's water-supply lines or hot-water heating system. These systems are comprised over copper pipes and fitting that need to be soldered together with high heat tools such as a propane torch. If you're not trained with these tools or in this area, this kind of project could easily lead to a flood or a fire - which won't be fun explaining to your spouse or your home insurance agent! The smallest leak from a project gone bad can lead to lots of money down the drain getting the problem fixed. Always start a project the right way, with the professionals at GreenTeam Plumbing! Taking "Just In Time" to the next level! 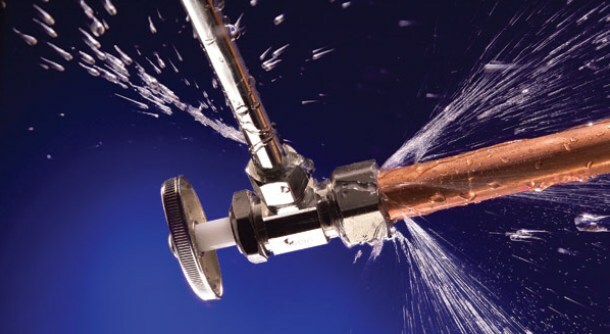 8 Smart Tips for Stopping Leaks!